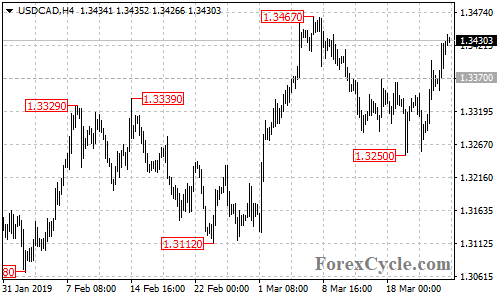 USDCAD remains in the uptrend from 1.3250. Further rise to test 1.3467 resistance is possible in the coming days. Near term support is at 1.3380, a breakdown below this level could bring the price back towards 1.3330 area.